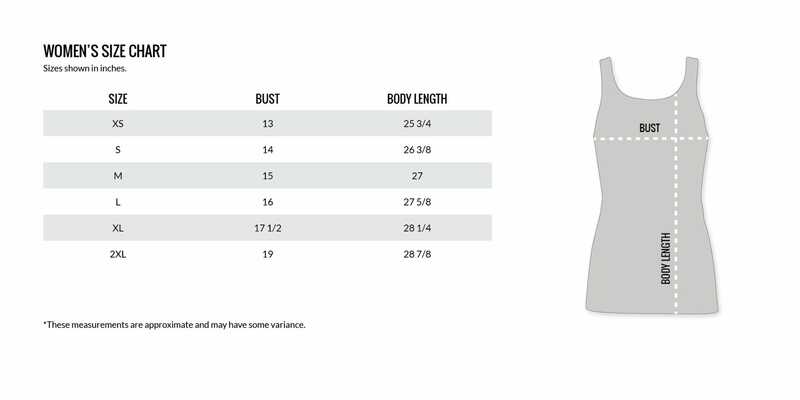 Women's Slim Fit Black Tank is rated 5.0 out of 5 by 1. Rated 5 out of 5 by KLeffler03 from Form fitting, but really nice I got this one in black and the light purple color, along with a few others to wear at a local MN gun store. So far i love them both. They are a really nice feeling fabric. I would say they may run a bit smaller then expected, but they also are form fitting, which isn't bad. The softer fabric they are made of doesn't bunch or shrink, washes and wears well. And i also like the logo that runs down the back.